To maintain full accreditation through both the federal government and Oklahoma Health Care Authority, CNA classes in Oklahoma must consist of at least 75 hours of training and must also provide for 100 hours of clinical experience outside of the classroom. Full-time students can usually fulfill these requirements in 6 to 12 weeks. To be accepted into an accredited CNA course, applicants are generally required to pass a criminal background check, provide proof of recent TB tests, be at least 18 years old and have either a high school diploma or GED. After a CNA candidate has completed the required training hours, he or she will be eligible for a period of 24 months to take the NNAAP certification test. Any person who is unable to pass both the clinical and multiple-choice portions of this exam with a score of 70% or higher on each before two years have passed will have to retake their training course from the beginning. 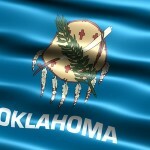 To secure employment as a CNA within the state, an individual must also be registered with the Oklahoma Nurse Aide Registry. CNA classes in Tulsa and Oklahoma City make-up the majority of the accredited training courses offered within the state of Oklahoma.